What is a quantum computer and why does Google need one? 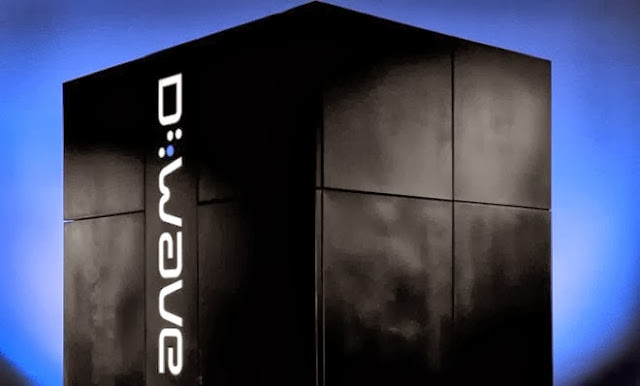 The nonprofit Universities Space Research Association just splurged on a new toy: A $10 million D-Wave Two quantum computer. The machine is the most advanced commercially available quantum computer in the world. USRA installed the device, which should be online by the end of September, at the new Quantum Artificial Intelligence Lab at the Ames Research Center in Silicon Valley, where researchers from USRA, NASA, and Google will put it use. A quantum computer takes advantage of a principle in physics that on the atomic scale particles can be in many places at once or have multiple properties such as magnetism or an electrical charge simultaneously. They would store data in these multiple positions at once, unlike conventional computers, which only store one value or data point in their circuits at a time. That means Qubits can multitask, which results in outstanding power. "A quantum computer with 300 qubits could run more calculations in an instant than there are atoms in the universe," says Technology Review. Considering there are between 10 to the 78th power and 10 to the 82nd power atoms in the universe, quantum computers sound unfathomably, maybe even unnecessarily, fast. The fastest supercomputer, the Titan Cray XK47 at Oak Ridge National Laboratory in Tennessee, can already perform quadrillions of calculations per second. What function could possibly need more power than that? Apparently, something called machine learning, or "the way computers take note of patterns of information to improve their outputs," says Quentin Hardy at the New York Times. "Personalized Internet search and predictions of traffic congestion based on GPS data are examples of machine learning." Hardy goes on: "The field is particularly important for things like facial or voice recognition, biological behavior, or the management of very large and complex systems." We believe quantum computing may help solve some of the most challenging computer science problems, particularly in machine learning. Machine learning is all about building better models of the world to make more accurate predictions. If we want to cure diseases, we need better models of how they develop. If we want to create effective environmental policies, we need better models of what's happening to our climate. And if we want to build a more useful search engine, we need to better understand spoken questions and what's on the web so you get the best answer.